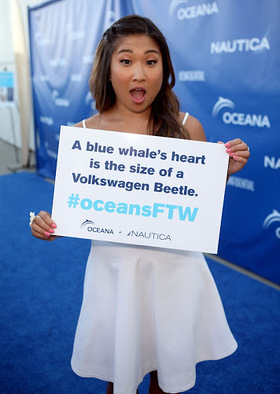 Celebrity Ocean Activists gathered in Santa Monica, CA on Friday evening, May 16th, at the 2nd Annual Nautica Oceana Beach House party, which was supported by global apparel company Nautica and media partner LA Confidential Magazine. The event highlighted Oceana’s success in protecting and restoring the world’s oceans through it campaign victories. 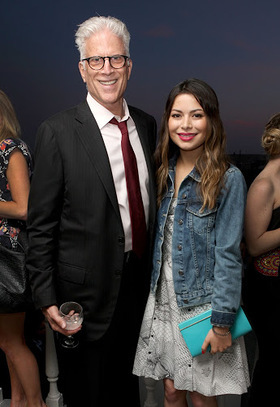 Oceana Board Member Ted Danson kicked off the evening’s program by welcoming guests and introducing Oceana champions and celebrity co-hosts Miranda Cosgrove (iCarly and Despicable Me) and Austin Nichols (The Day After Tomorrow, Showtime’s Ray Donovan, CW’s One Tree Hill). The hosts spoke passionately about their work with the organization and urged others to get involved. Recording artist and Nickelodeon star Drake Bell performed songs off his new album, Ready Steady Go! The evening was concluded by a live set from the world renowned DJ Connor Cruise. 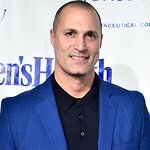 The event co-hosts were joined by celebrity supporters Jenna Ushkowitz (Glee), Sam Trammell (True Blood), Angela Kinsey (The Office, New Girl), Chloe Bennet (Agents of S.H.I.E.L.D), and Perrey Reeves (Entourage). As the sun set over the Pacific Ocean at the Marion Davies Guest House on Santa Monica State Beach, Nautica Oceana Beach House guests were treated to appetizers and drinks generously provided by Chandon, Lagunitas Brewing Company, Cloudy Bay Vineyards and Suja Juice. Guests also enjoyed “A Fair and Honest Appraisal of Your Appearance” by The Bumbys. Celebrity guests autographed a limited edition balsa wood surfboard hand-shaped and designed by Yana Surf. This board, inspired by Maya Gabeira, a champion big wave surfer and Oceana supporter, is one of 100 and will be sold via auction – along with items from Nautica and Lagunitas Brewing Company – between May 29-June 11 at charitybuzz.com/Oceana. All proceeds will benefit Oceana. This 2nd annual event was made possible by Nautica, Oceana’s longstanding corporate partner since 2008. The evening was also supported by the exclusive media partner LA Confidential.